Yesterday, Microsoft released the first Windows 10 Insider Preview Build 18204 codenamed ‘19H1’ (also known as Redstone 6) to Windows Insiders who are in the Skip Ahead ring. 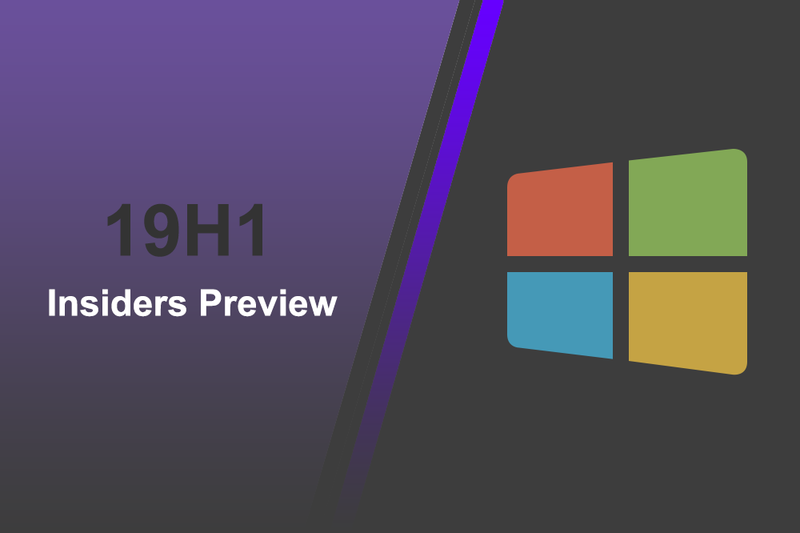 Looks like Microsoft is no longer going to use Redstone codenames for the next version of Windows and instead use the newly re-named codename ‘19H1’, where 19 represents the year 2019 and H1 refers to the first half of the year. “Going forward, RS5 builds will come from the RS5_RELEASE branch. For Insiders who chose to “skip ahead”, 19H1 builds will continue to come from the RS_PRERELEASE branch. Insiders can see the branch name in the watermark at the lower right of their desktop. Right now, the builds from these branches are largely the same which is why we’re only doing a single blog post for both of today’s new builds. However, in the future, we will be doing separate blog posts for each. To summarize all this, see the below graphic that explains what Skip Ahead is,” Microsoft’s Dona Sarkar writes in a blog post. Those who are a part of the Skip Ahead Ring can now download the first Windows 10 Build 18204 (19H1) preview build. Besides the 19H1 preview builds, Microsoft also released the Windows 10 Insider Preview Build 17723 (Redstone 5) for Windows Insiders in the Fast Ring. Both the builds, 17723 and 18204 include the same new features, so there not many big changes in either of these releases. However, with the update to Windows 10, the company is adding a Mixed Reality Flashlight, improvements to Edge, and the addition of Emoji 11. Other smaller changes include time accuracy and traceability improvements, and an improved kiosk setup experience. Microsoft is also working on improving your update experience, and game bar enhancements. You can click on the Windows Blog to know more about the full changelog, which also includes a list of known issues and more!